The 16-minute feature, titled "Rami Malek: Becoming Freddie," features interviews with the actor and other cast members about Malek and the work he put into the movie, learning how to become Mercury in terms of performance and mannerisms, as well as in appearance. The video is available to view from today exclusively in iTunes for free, where fans are also encouraged to pre-order the movie to gain access to the full extras package. The page also links to other areas connected to the film, including its original soundtrack and assorted playlists for the band Queen. 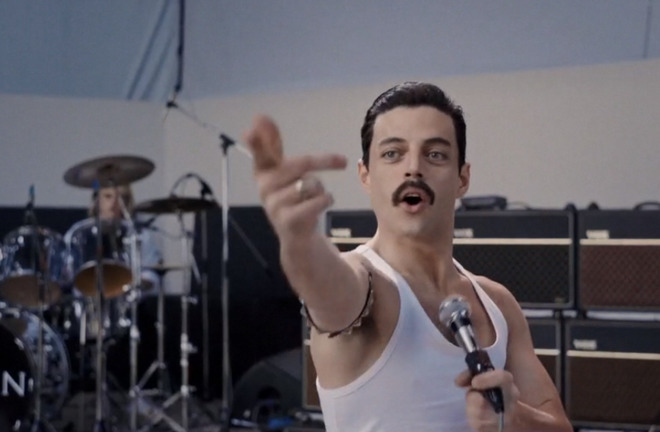 Bohemian Rhapsody tells the story of the formation of Queen, from its creation through to its iconic performance at Live Aid. Throughout, it covers events in Mercury's life, including relationships and dealings with the band, as well as the media's fascination with the charismatic singer's personal life. Malek's portrayal of Mercury in the film helped secure the movie the Golden Globe award for Best Motion Picture - Drama, as well as the award for Best Actor - Motion Picture Drama for Malek himself. The film has gone on to receive nominations for many other awards and accolades, and has led to discussions of a possible sequel continuing the story.